Comments: Broadleaf evergreen, native to eastern Mediterranean region. 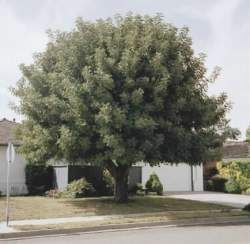 A handsome, fully rounded, compact tree with neat, clean foliage and narrow, flat, leathery fruit in the form of pods. 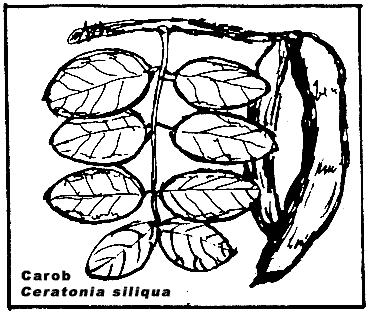 Pods used for chocolate substitute and medicinal purposes. This tree is gone.